Pam, if you will send me an email and let me know which pattern you would like, I will get it right out to you. 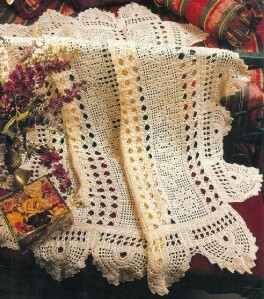 I entered this afghan in a contest Annie's Attic held back in the 90's. It was for crocheted quilts and afghans (I am still not sure what a crocheted quilt is.) It did not win, but they bought the design anyway and published it several times. If anyone knows of someone who ever entered the national contest I wrote about yesterday, I would love to hear from them. It doesn't matter if they won or not, I just think it would be interesting to hear about the experience! Thank you very much, what a surprise this morning when I woke up and checked the computer. I must apologize for not checking yesterday but was up very early to head to the Tulip Festival and watch and photograph the Hot Air Balloons launch at sunrise, then off to check out the Lilac Gardens north of us, they are only open I believe for only 3 weeks out of the year, then had to celebrate our Granddaughter 8th Birthday. So it was a very busy and long day. Thank you again very much. I have sent you an email. The afghan is very beautiful as are all your patterns. Wow, it's a gorgeous afghan! 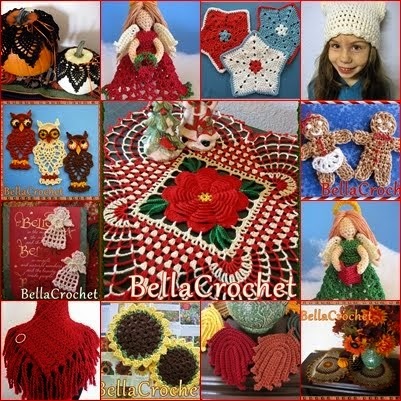 Sheryl Hendricks Is "Crazy About Crochet"